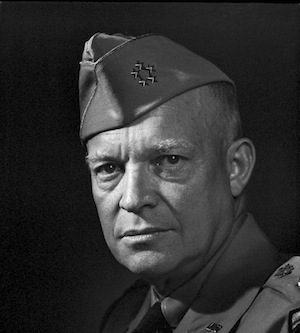 In 1961, Dwight D. Eisenhower famously made a point of warning us about the military-industrial complex. Now, in 2013, we have a similar nexus, born of the Digital Age and nurtured by the World-Wide Web. The Web itself stems from a nexus of government defense (DARPA – Defense Advanced Research Projects Agency) and funded technology. Developing together, grown out of control, critical mass has been reached – a symbiosis of virtually unlimited funding for national security and virtually unlimited technological capability – the techo-government complex. The Complex’s partners have shared strategic goals for their own protection. Witness the conglomeration of Facebook, Microsoft and Google’s FWD.US (FORWARD dot U.S.) advancing the Obama Administration’s FORWARD agenda. FWD advocates publically, while the Administration advocates privately. Does anyone doubt these tech giants would do anything to protect those holding the purse-strings of their defense contracts? FWD and FORWARD – why don’t they just get married! They wouldn’t even need to change the initials on their towels! They also have a shared secret. Only they can know what they’ve done, what they’re doing, and what they can do together. Every day brings new discoveries and the development of new abilities. Isn’t this what keeps a relationship vital and exciting? Secrets create intimacy; they assure that loyalty is mutual. They have each other’s backs, covering for a guy like Snowden – FWD haggles the technicalities, while FORWARD lays down political cover and takes him down. I sympathize with Snowden; I really do. He decided that we need to know what the Complex is up to, so he broke the law that protects it. Sure, he exaggerates, and seems oblivious to real oppression in states like China, Russia, Cuba and Venezuela; but if he saw Glenn Greenwald as his only gateway to freedom then this is understandable. Snowden is not the problem here. Rather, the Complex is revealed, which was inevitable. How does the Complex work? Start with the participants. What are they good at? Microsoft knows infrastructure, operating systems and their weaknesses. Facebook knows how to profile users from data provided and procured. 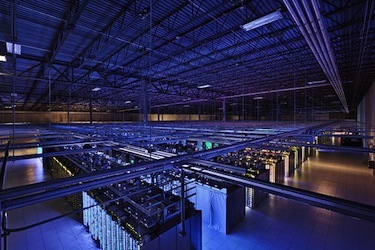 Google develops search technologies for unfathomably large databases at unbelievable speed. They provide e-mail, cloud-based storage systems and apps. Cisco, Network Solutions, and others are likely employed for their expertise as well. These are ripe pickings for the NSA, FBI and whoever else might find this stuff useful – other government entities, businesses and academic partners. Most likely, the NSA does have direct access to some servers, and are given data from others. Otherwise, it taps directly into the Internet fiber-optic backbone. There never has been any legal expectation of privacy on the public Internet. Encryption is used to keep people from being able to, say, intercept your credit card number; but it’s well-known that anyone may be scanning and recording Internet traffic. Of course, it’s illegal to use this web traffic information in the commission of a crime. Everyone knows that tech providers scan their e-mail for business use, compiling data to provide context-sensitive ads, sales to third-parties, and to market additional services. Why should the NSA have to make due with less information than Google or, say, peoplefinders.com? Besides, you probably already agreed to NSA snooping when you signed up. The trick, for the Complex, is to save all those disparate packets of data crossing the Internet, and to recombine them into useful archives. Advanced decryption methods are used to handle the tough cases. Combined with data from other sources – government agencies, corporate records and the like – a fairly complete repository is built. This, like the Internet itself, is a government that never forgets.